Welcome in to this week's blog #NASCARfamily! Thank you for joining me for another week! One of the biggest topics of discussion over the past 7 days has been the All-Star Race. This week, NASCAR announced multiple changes to the All-Star event, with the biggest change being the aero-package teams will run. For the first time in NASCAR history (or at least from what I remember), NASCAR will force teams to run restrictor plates at Charlotte Motor Speedway. The goal is to bring the cars closer to each other for more exciting racing. Since this was the story of the week, naturally I had to jump on board. Once a year I come out with a few ideas that would boost moral & competition for the famed All-Star event. So this week, that will be the topic of discussion! So enough flapping my gums, let's get to brainstorming! This idea is a stretch. No doubt about it, we will likely NEVER see 3-wide restarts in any form or fashion in NASCAR (honestly, we don't need to). Of course, I have the understanding that this is a highly unrealistic idea, but we're thinking outside the box, right? After all this is the All-Star Race. Imagine sitting in your seats (actually standing), watching NASCAR's best stars take the green flag three-a-breast. When I even think about it I get goose bumps. Naturally I ask the question, could they make it? While I'd have to see it to believe it, wouldn't it be a site to see stock cars rushing into turn 1 at 170mph. Again, this won't happen... but as a fan I can dream. A move like this would force drivers to make moves we've never seen before. Idea number two, much like idea number one, is a little "unique". Again, out of the box, but why not? The All-Star is all about fireworks & excitement, so why not add to that mantra by doing something NASCAR has never done at a 1.5-mile facility? This small (well major) change would impact teams in a variety of ways. For one, teams would have to completely alter typical set-ups. Considering all 1.5-mile tracks run counter-clockwise, there are general set-ups teams can differ to, to begin the weekend. With the clockwise layout, everything from shocks, suspension, tire pressures, camber, etc. would have to be altered for this once a year event. Secondly, drivers are not physically & mentally experienced with this concept. G-forces & instincts have become second nature to drivers at most 'cookie-cutter' facilities, but competitors would be forced to learn something new if this drastic change was made. Getting on to pit road would also be very interesting as drivers go from 180mph to 45 while turning right. What could make drivers race harder? Points. Particularly, playoff points. Aside from a financial gain, NASCAR needs to add a points incentive to the All-Star Race winner. If we're going to claim this is an extraordinary event, then let's make it one! The winner of the All-Star should receive 10 playoff points. The only defense against this proposal would be that this 'extra' event rewards more playoff points than a regular Cup event. While I don't necessarily like this idea above others, this would add a heightened level of competition to the kick-off of NASCAR's stint in Charlotte come May. With time comes inflation. Twenty years ago, $1,000,000 to a race team was massive, but in 2018, that's barely a drop in the bucket. Hard times, cause for drastic measures... so with this idea, I propose adding a bigger cash prize for the All-Star winner. Imagine if NASCAR, Monster Energy, and a variety of sponsors came together to present a $5,000,000 or $10,000,000 check to the winning team! Obviously, the money won't fix the aero-issues we are facing in modern day NASCAR, but it will cause someone to get up on the wheel and make a move. The biggest concern here, is that with the economy up-and-down, fans may not respond well to NASCAR throwing a huge wad of cash around to already well-off drivers and crews. Overall, this idea would likely be near the bottom of my list, but NASCAR & Monster Energy has the resources to put up a bigger prize, so why not? One of the gaps in the NASCAR All-Star format is that other series have 'All-Stars' that aren't represented. For fans who usually focus on the Monster Energy Cup Series, there are two other national series, the Xfinity & Camping World Truck Series. These other series do NOT have any form of an All-Star event, which opens the door for opportunity. NASCAR could revolutionize All-Star weekend using one of two potential methods. The first would include adding the defending Xfinity & Truck Series Champions to the All-Star event. In some cases that particular driver may already have a Cup ride such as William Byron in 2018, but if not, NASCAR could provide pre-built racecars for a qualifying driver. Another option would be to let the closest associated team build an extra Cup car for the championship winning driver to race. For instance, a Kyle Busch Motorsports driver could run an extra Joe Gibbs Racing car if they won the Truck title. The second method, would be to create separate All-Star events for both Xfinity & Trucks. Imagine a race day where fans could watch all three national series race in one day! To kick-off All-Star race day, we could feature the previous year’s race winners & playoff drivers for both series race for a major cash prize. Think about how much $500,000 or more would mean to an Xfinity team? These events would work just like the Cup event. Each series would get a 25-30 lap qualifying event for drivers who had not won a race or made the playoffs in the previous season. The top-2 from the qualifying event & a fan vote would make it in to the All-Star event. Sense these series run shorter races, the All-Star event would also be shorter than the Cup race. Fifty laps should be enough to decide a quality winner in both Xfinity & Trucks. This idea would be great on multiple fronts. It rewards hard working lower tier drivers & gives fans a chance to see all their favorite driver in one race day. Well, there you go folks! Let me know some ideas you have to spice up NASCAR's All-Star event! These are just some ideas that have floated around my brain for a while, but who knows if they'll ever come true. Thanks for reading, hope you enjoyed! 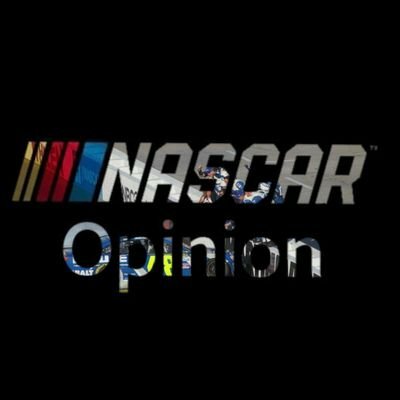 Make sure you follow along on Twitter at @nascar_opinion & Instagram at NASCAR OPINION.